There's nothing better than settling into your hot tub after a long day. But without the proper filtration system, your tub may be loaded with harmful bacteria. That's where we come in. At TEXAS FRESHRAIN®, we provide a system designed to keep pools, spas, and hot tubs clean and safe. With our system, a cozy, chlorine-free hot tub is easily within reach. Studies show that hot tubs are breeding grounds for bacteria. Typically, spa owners combat this by using chlorine and bromine. But these chemicals, while helpful in killing bacteria, may also pose risks. If you're sensitive to harsh chemicals, or simply prefer a more chemical free pool system and/or chemical free spa, then Freshrain is perfect for you. Our unique system efficiently cleans your pipes without the addition of chlorine. 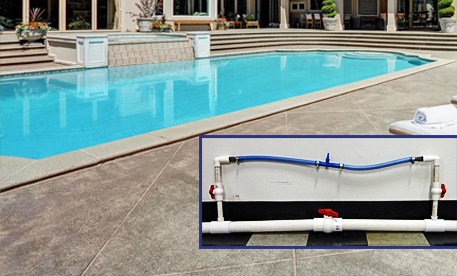 Whether you are needing pool sanitizing or a safe hot tub, you never have to add or drain chemicals again! We use a patented vapor ion plasma generator to create ionized oxygen bubbles that circulate through your spa. These negative ions naturally purify water while balancing the pH. Unlike ozone-based systems, which dissipate rapidly and require chemicals, freshrain safely destroys pollutants around the clock. 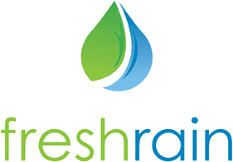 The freshrain system enhances water filtration by eliminating the need for chemicals, ultimately keeping your spa cleaner and safer for all. Thanks to our state-of-the-art technology, our system removes chloroform, strep, staph, Norwalk, MRSA, and other harmful bacteria and viruses, all while being chlorine free and bromine free. We want to keep your hot tub clean for years to come. With this in mind, we offer a 3-year manufacturer warranty on all freshrain systems. Additionally, UV lamp included in your system should be inspected manually and replaced every 12 to 24 months based on usage. For the best results, we strongly recommend professional installation.